Los Angeles, CA – Phoenix is solidifying its position as one of the nation’s leading tech markets, jumping nine spots to #11 on CBRE Group Inc.’s annual “Scoring Tech Talent” report which ranks 50 U.S. and Canadian markets according to their ability to attract and grow tech talent. Phoenix also ranked #6 on the list overall of top “momentum markets, based on a tech talent growth rate of 58.1 percent since 2010. While well established tech markets like the San Francisco Bay Area, Washington, D.C., and Seattle once again took the top spots on this year’s Tech Talent Scorecard, the report showed that competition for talent is getting tougher, as more highly skilled tech works—especially millennials—flock to cities with a growing tech presence, and cities like Phoenix are benefitting. Despite growth in the tech sector, Phoenix remains one of the most affordable large tech-talent markets. In CBRE’s analysis of estimated one-year costs in terms of wage and rent obligation for a sample tech firm with 500 employees and 75,000 sq. 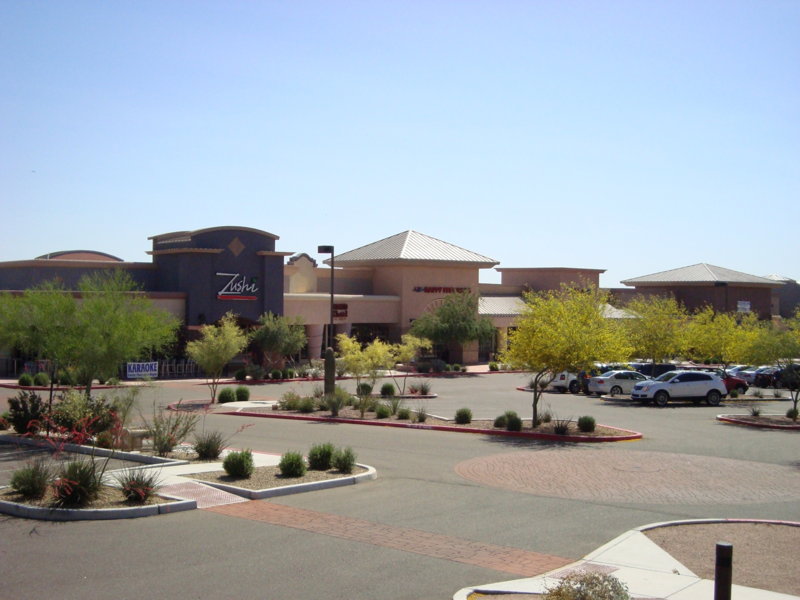 ft. of office space, Phoenix ranked #26 overall with an estimated total cost of $37.5 million. This compares to estimated total costs in markets like Seattle, Denver and Austin of $47.1 million, $43 million and $40.9 million, respectively. Educational Attainment/Tech Degrees: Nearly 70 percent of the top 50 tech talent markets have an educational attainment rate above the U.S. average (30 percent). More relevant to this study is the number of graduates who have earned technology degrees. The top 10 markets ranked by the number of tech degrees completed were New York, Washington, D.C., Los Angeles, Chicago, Phoenix, Boston, the San Francisco Bay Area, Atlanta, Columbus and Detroit. Phoenix produced 44,058 tech graduates between 2010 and 2014, but only added 31,620 tech jobs between 2011 and 2015, for a net loss of -12,438 graduates, making it one of the top two “brain drain” markets along with Boston. Cost of Living: According to Moody’s Analytics, 36 of the top 50 tech talent markets have a cost of living above the U.S. national average. CBRE compared the average apartment rent to the average tech-worker wage in each market and found that even in the most expensive markets, tech wages are able to cover the high cost of living (using the affordability benchmark that allocates 30 percent of income to housing). That said, top momentum markets like Charlotte and Nashville, clearly benefited from affordability with wage-to-apartment rent ratios of only 13 percent and 17 percent respectively. Oklahoma City, #5 on the momentum market list, has a wage to apartment rent ratio of just 12 percent, making it the most affordable of all 50 markets examined in the CBRE report. Phoenix has a wage to apartment rent ratio of just 12.8 percent, making it the fifth most affordable tech talent market. Presence of millennials: The presence of higher educational institutions help markets to attract high concentrations of millennials. Madison, Pittsburgh and Boston took the top spots, each boasting millennials as 25 percent or more of the total population. Six large tech markets increased their millennial population by more than 10 percent since 2009, with Washington, D.C. growing the fastest at 25.8 percent. During the same period, five of the smaller tech markets increased their millennial population by more than 10 percent with Salt Lake City and Richmond growing at significantly faster rates than the others. Looking at metropolitan Phoenix’s millennial population growth is somewhat trickier. 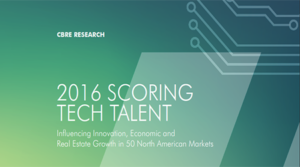 The Scoring Tech Talent report focused on millennial concentration in downtown areas. So, examining just the city of Phoenix, the market reflected a loss of millennial population of 4.8 percent. However, taking the entire metropolitan area into account, the Valley saw an 11.8 percent rate of growth in its millennial population. Rankings for the Tech Talent Scorecard are determined based on 13 unique metrics including tech talent supply, growth, concentration, cost, completed tech degrees, industry outlook for job growth, and market outlook for both office and apartment rent cost growth. San Francisco Bay Area, Washington, D.C., and Seattle, once again dominated the top spots on the 2016 “Tech Talent Scorecard,” with New York and Austin rounding out the top five—a boost for Austin which ranked #8 last year. The top 10-ranked cities on the Tech Talent Scorecard were all large markets with a tech labor pool of more than 50,000. In the number 6-10 slots were Dallas/Ft. Worth, Boston, Raleigh-Durham, Atlanta and Baltimore. Rounding out the top 15 were Phoenix, Toronto, Chicago, Orange County and Minneapolis. To view the full report, please click here or 2016_Scoring_Tech_Talent(LO-RES).